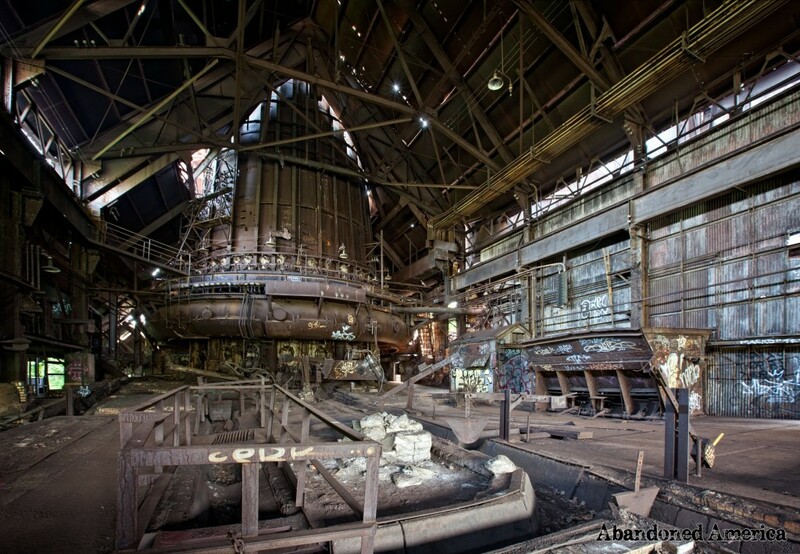 Inside the century-old Carrie Furnaces in Rankin, Pennsylvania. All images @Matthew Christopher, AKA Abandoned America. As you neared them, the enormity of their scale seemed impossible; the empty field around them both exaggerated their scale and isolated them, as though they were an industrial island, perhaps an odd growth that sprouted from a bolt or gear someone had planted there a century ago. Built in 1906, the furnaces themselves tower 140 feet above the grassy plains around them, with plants and trees of all kinds weaving their way in and out of the gigantic pipes and ladders like sinews. Several of the buildings still stand, their own substantial size dwarfed by the furnaces. On the side facing the waterfront, a segment of the elevated railway remains, no longer connected to anything except a gargantuan gantry crane that has been rusted in place for decades. For all intents and purposes, it seems like the last vestiges of a civilization of giants. Rather than flaking frescoes or cracked religious reliefs adorning the walls, there are indecipherable graffiti tags from over the years. It is hard to imagine that man ever inhabited such a place, or that the furnaces once roared. The silence is nearly absolute, save for the rustle of the wind in the leaves or an occasional deer bounding through the grass. Panorama of the Carrie Furnaces, gantry crane, and elevated railroad. 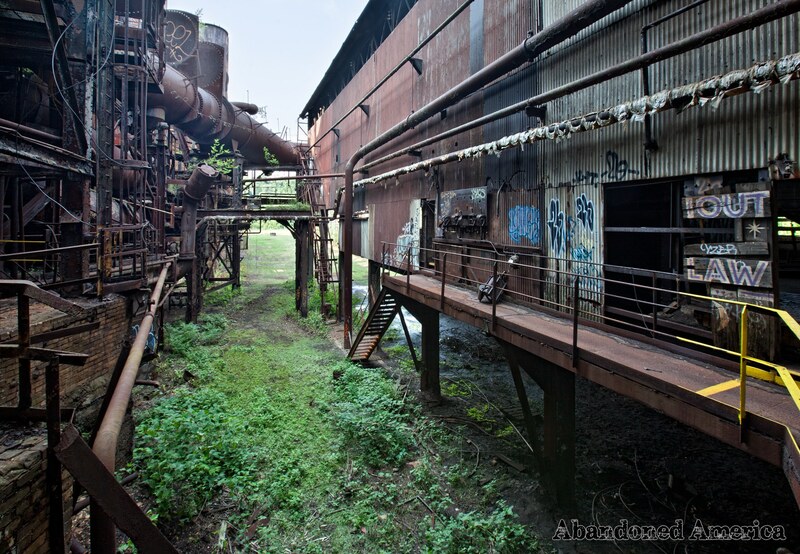 The Homestead Steel Works, once a significant part of Andrew Carnegie’s Pittsburgh steel empire, and one of the most important parts of the region’s history, closed in 1986. Originally purchased by Carnegie in 1888, and integrated into the Carnegie Steel Company, the steel plant was the site of the Homestead Strike, one of America’s bloodiest labor disputes, in 1892. While the majority of the complex was razed to make way for a waterfront shopping center that opened in 1999, the Carrie Furnaces, on the other side of the river, were left untouched, largely due to their inaccessibility. The Hot Metal Bridge, a truss bridge that carried crucibles of steel from the blast furnaces to the rolling mills on the opposite side of the Monongahela River, still stands and will be converted to a bicycle and pedestrian bridge. The green reclaiming of the lost forge. The Carrie Furnaces were left to the elements for years, and it seemed inevitable that they would also be torn down to make way for some form of new development. However, in 2005, the furnace property was sold to Allegheny County, and the next year , furnaces 6 and 7 were designated as a National Historic Landmark. Three years later, Rivers of Steel Corporation became caretakers of the property. Rivers of Steel began offering guided and unguided tours of the property, and have been working on raising community support for their stabilization and renovation that will “allow visitors to climb a series of walkways around these industrial giants and see at close hand the furnaces that set world records in the production of iron.” Now fenced off and inaccessible to the curious wanderer (save through these limited tours), the Carrie Furnaces are becoming one of the hottest attractions in Western Pennsylvania. Where once was a roar is now silence. High atop the gantry crane. When I originally visited the furnaces in 2008, it was a hot October day, and I remember climbing to the top of the gantry crane and looking out across the bulk of the furnaces, with the car dumper and the ore yard seemingly a million miles beneath me. 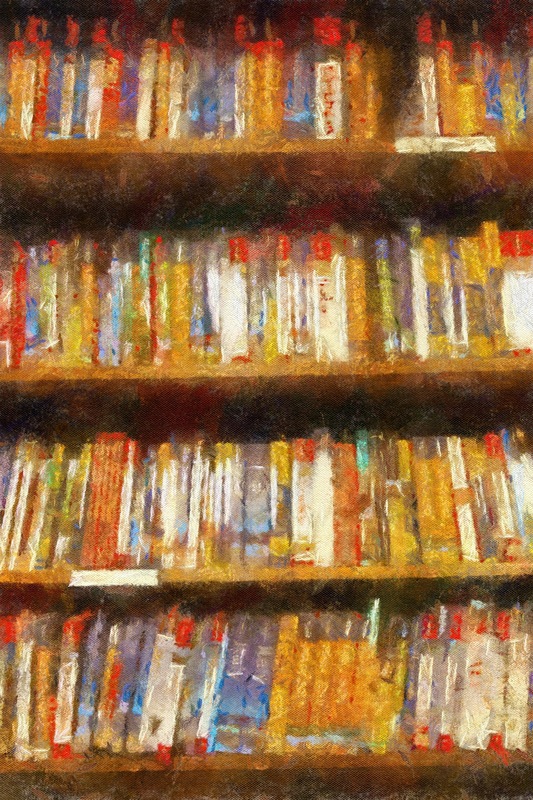 It was as though the nightmarish sprawl of housing developments and shopping centers was gone, and I had found a little hidden pocket of magic that remained. The mysterious and inexplicable machinery before me was a part of something greater and more majestic than the normal dingy stretches of chain stores and big-box retailers. Even though I couldn’t articulate what the furnaces’ purpose was now, I desperately wanted them to survive so that the experience of trembling awe I felt when I looked out at them wouldn’t be erased. The Rankin Deer, built by an artist collective from materials found onsite. The age of American industrial behemoths is nearly passed, for better or for worse, and many of the staggeringly large facilities we used to produce glass, bricks, coal, steel, and the myriad of other resources, which literally built our country, have been bulldozed. What remains in their stead are all too frequently petty franchises which erase the identity of a region in favor of anonymity where every town is a rough copy of the next. We need places like the Carrie Furnaces, not just to remind us of who we were, but to remind us of who we are and could be. I have visited hundreds of abandoned sites across the country and have documented as many as possible on my website Abandoned America—and I can tell you that the opportunity to experience a place like this firsthand is exceptional because, more often than not, sites are torn down and little to no effort is made to preserve the heritage that is lost with them. The Rivers of Steel Corporation’s effort to give the furnaces back to the public and educate visitors about their history is both laudable and rare. It is my hope that their example is duplicated for similar sites in future. 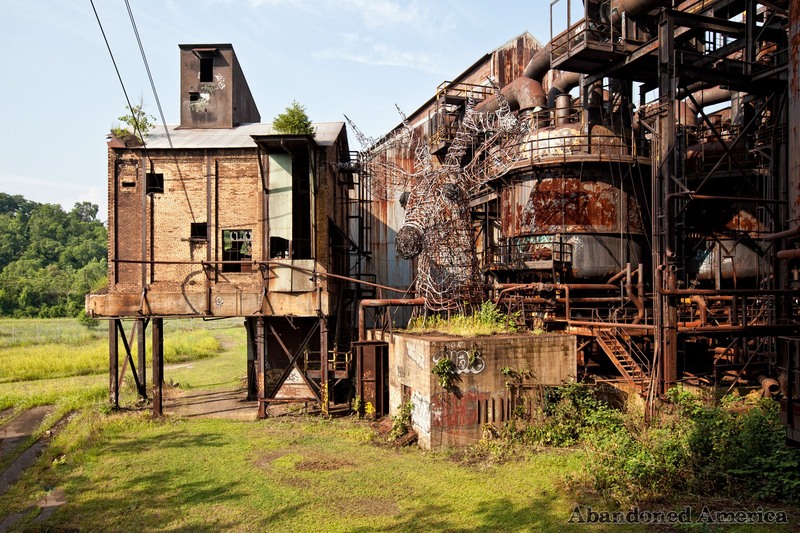 Starting May 4th, Matthew Christopher will be offering the Abandoned America Photography Workshop Series. The goal of these workshops is to offer legal access to unique and off-limits locations, teach people how to improve their photographs of them, and raise funds for preservation efforts. Visit this link to reserve your space in the series. Rankin is located 8 miles from Pittsburgh, and American Airlines, United and Delta offer connecting flights. 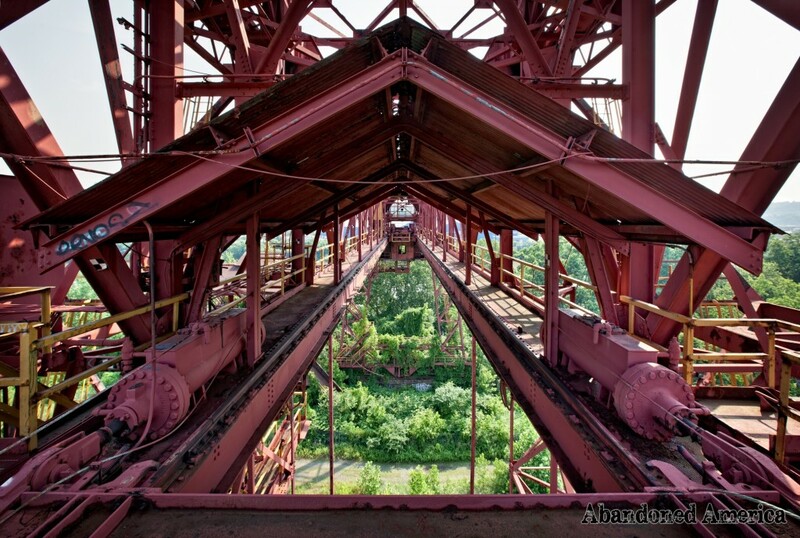 Click here to see more of Matthew Christopher’s photography on the Carrie Furnaces. 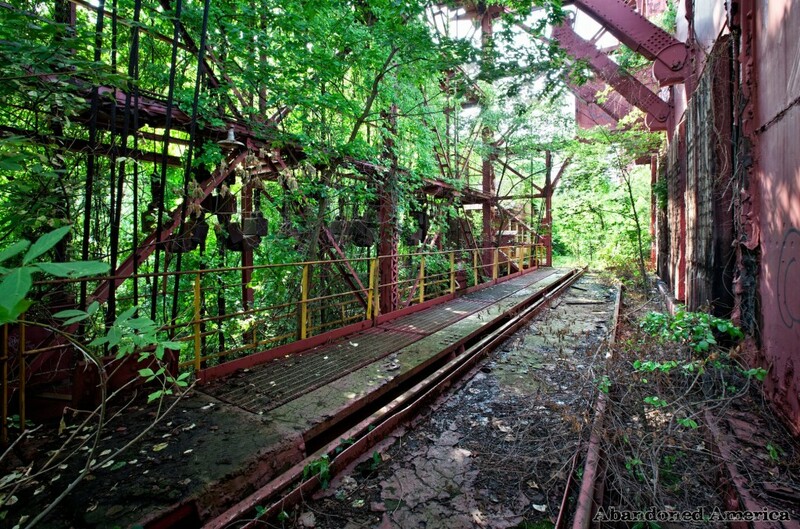 And be sure to spend some time virtually exploring a host of other remarkable places on his website, Abandonedamerica.com.